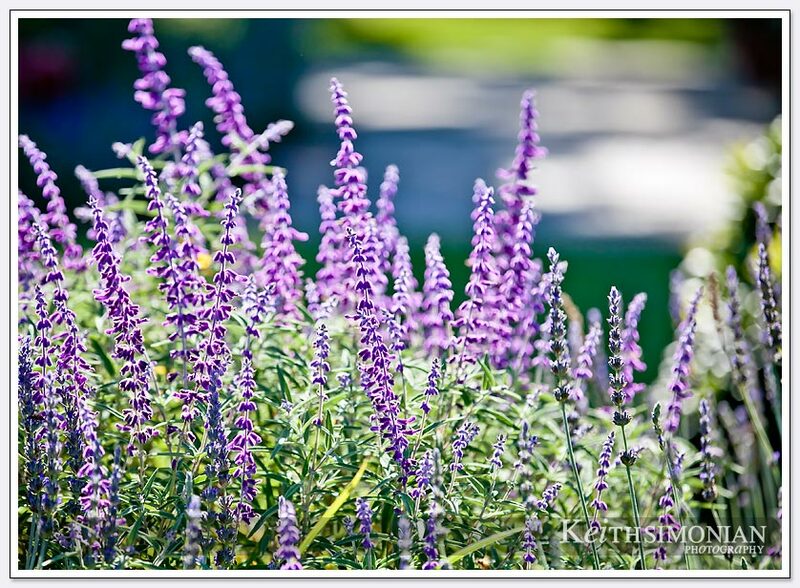 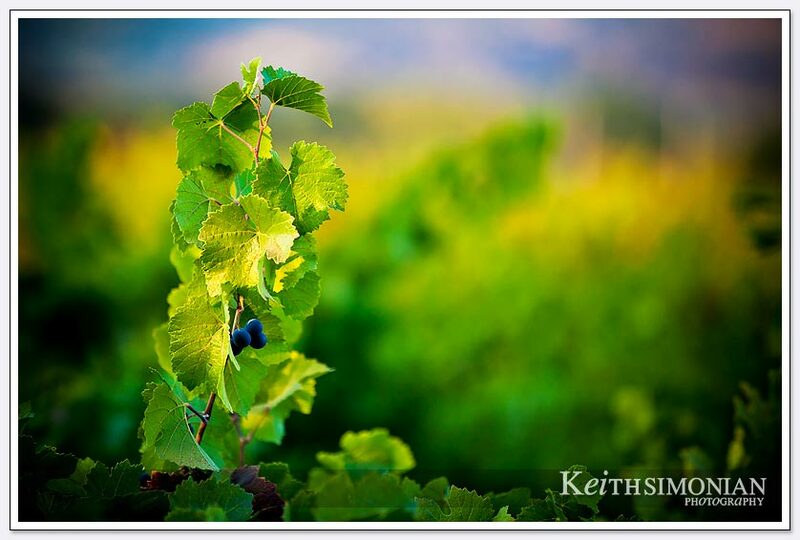 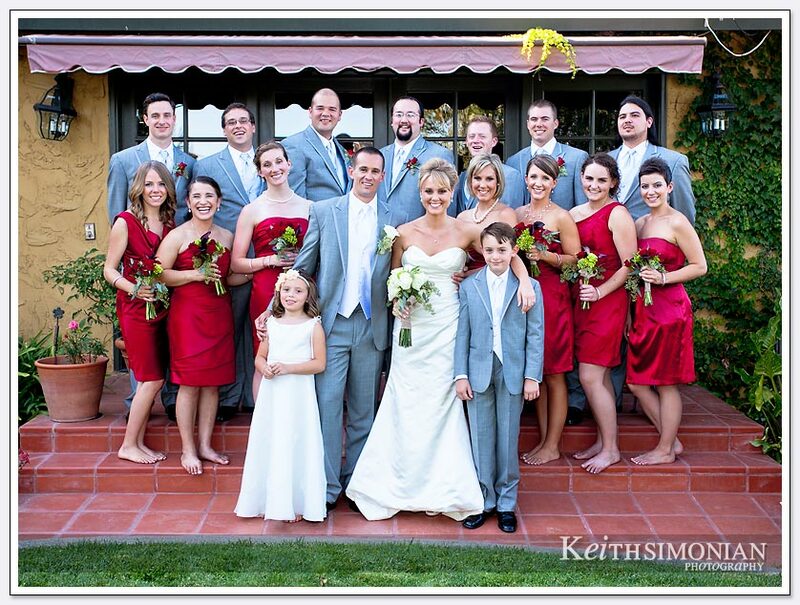 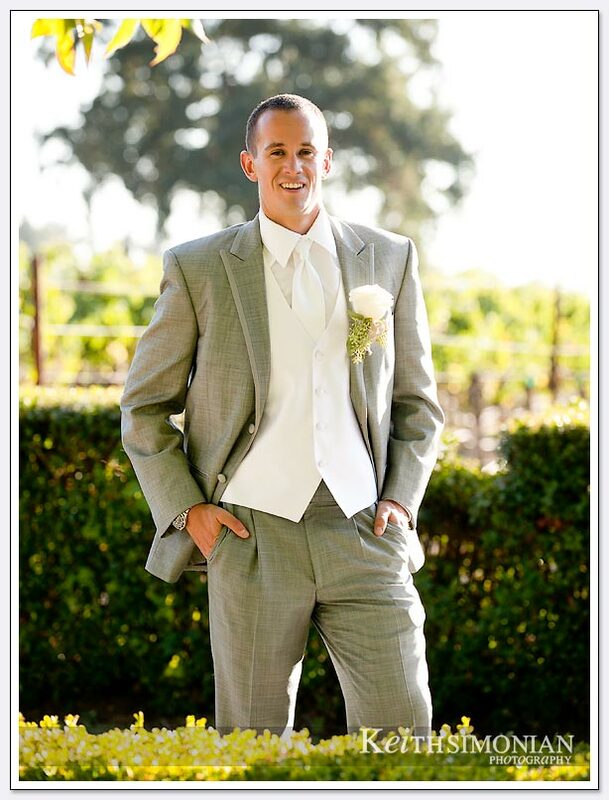 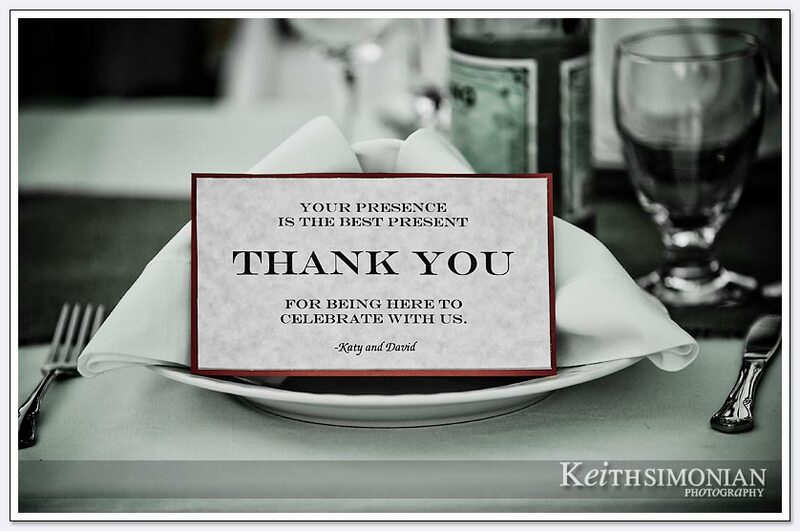 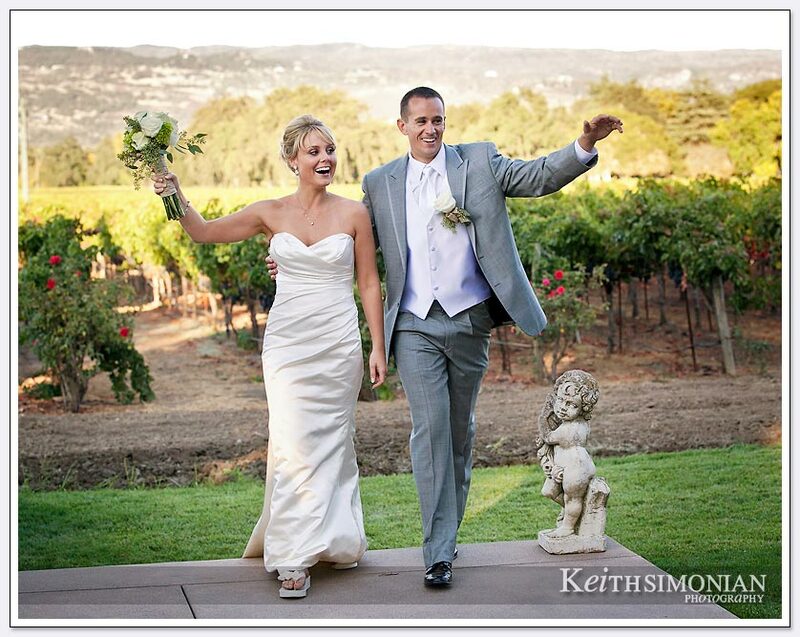 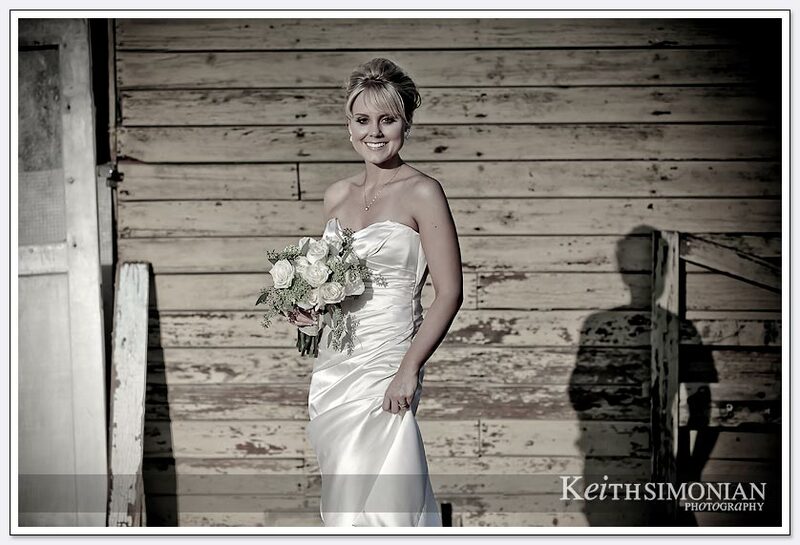 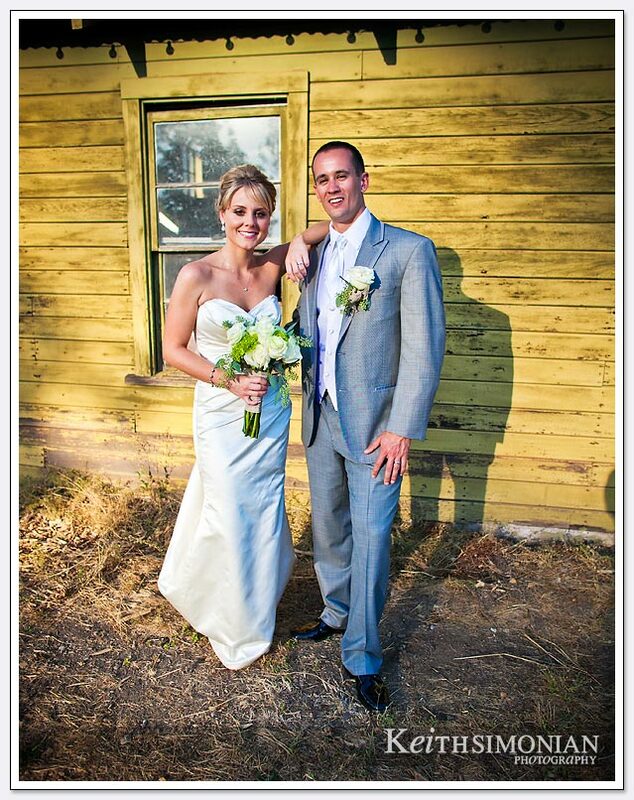 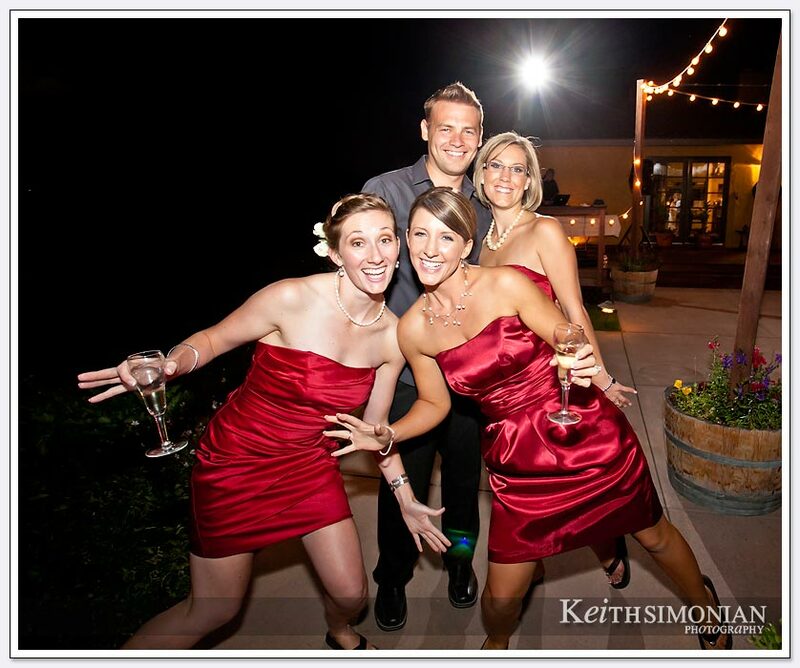 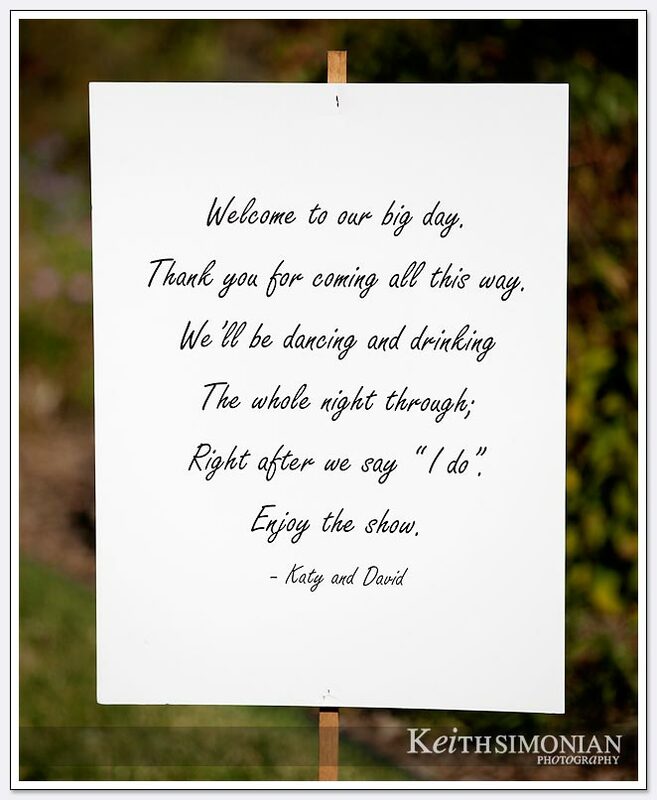 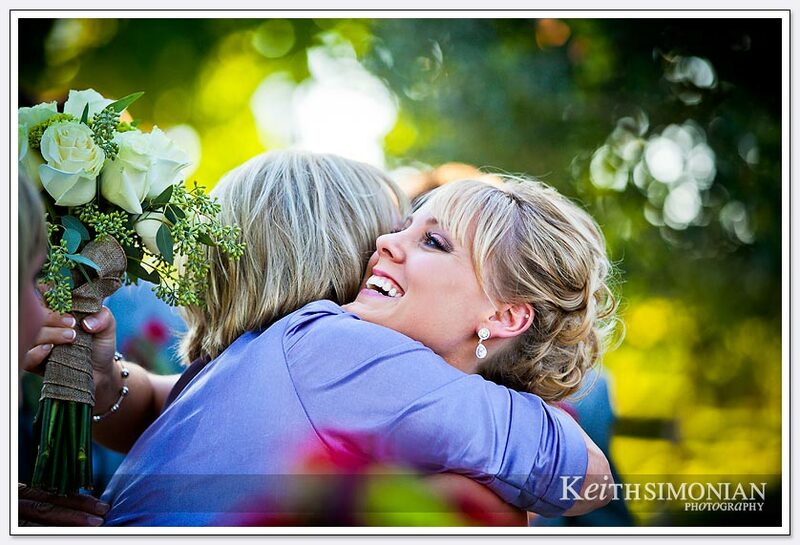 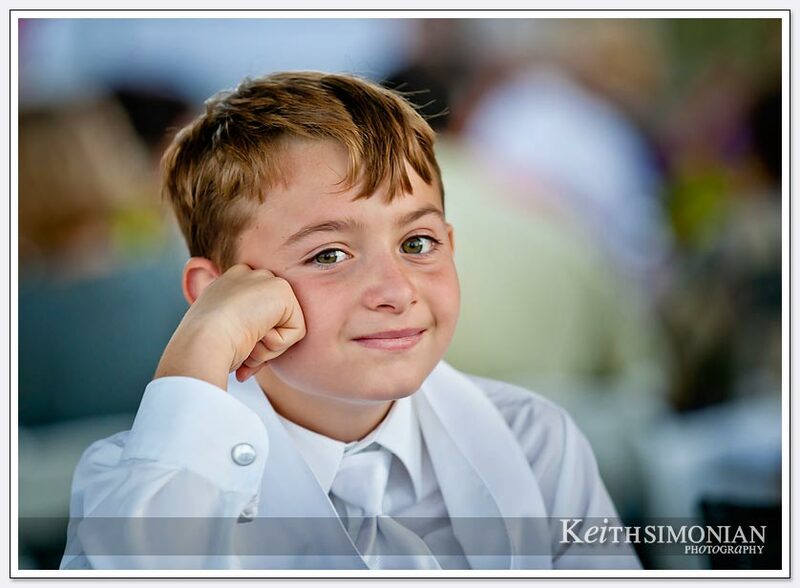 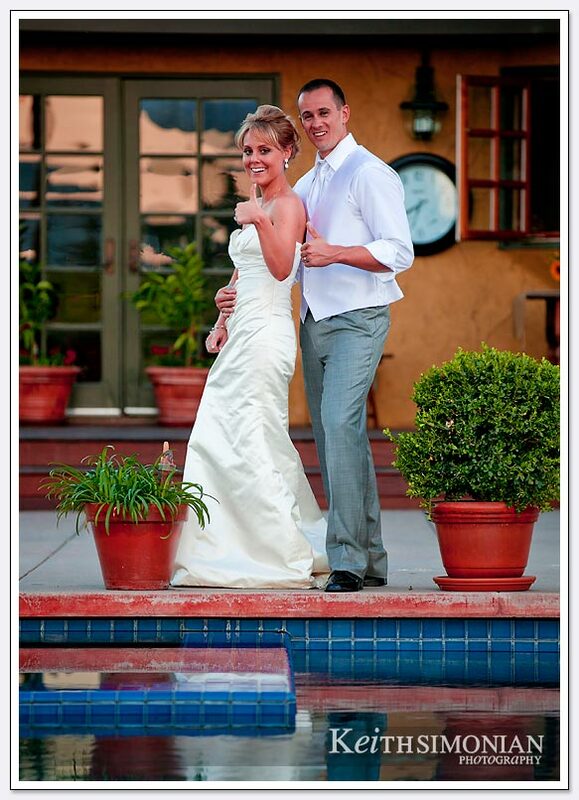 It was a perfect Napa Valley September day for Katy and David’s outdoor wedding and reception. 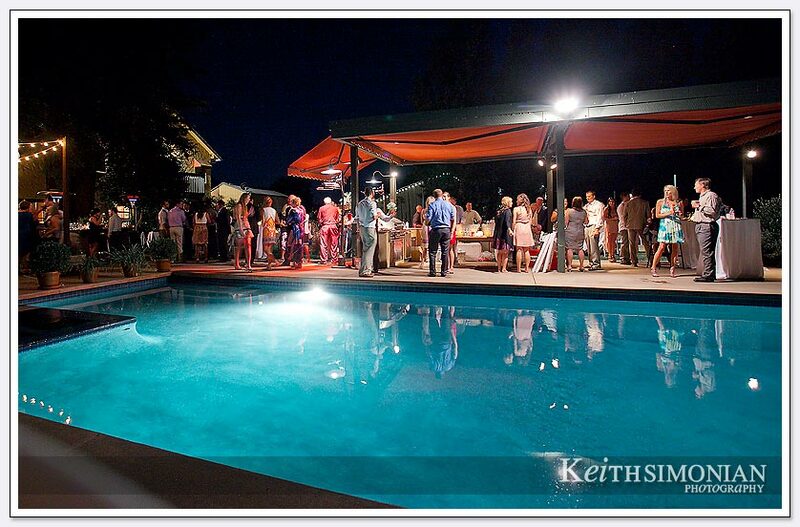 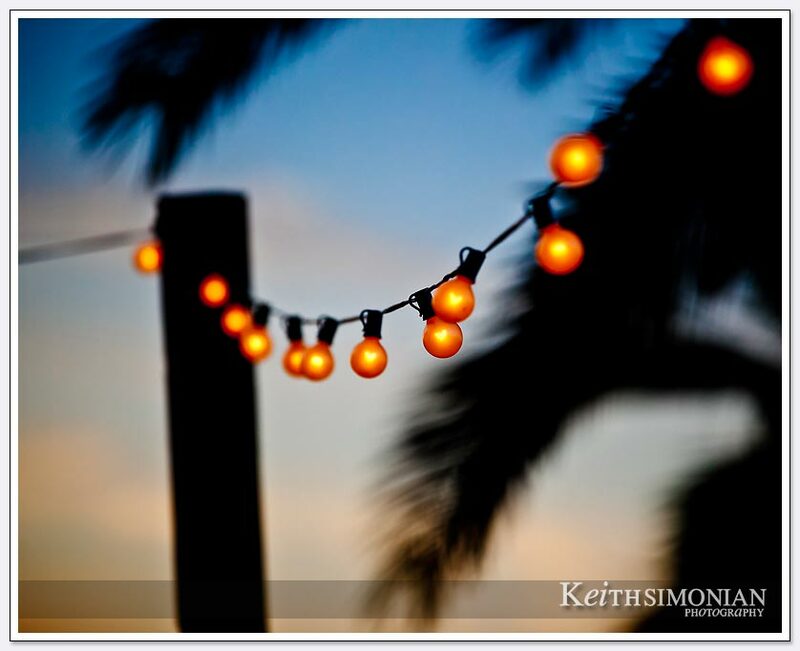 The nice sunny day turned into a pleasant evening for family and guests to celebrate their union. 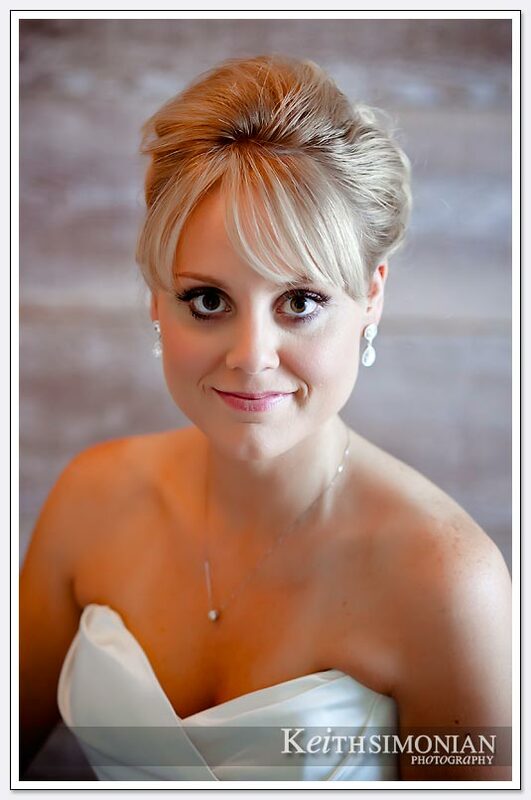 Vintage look for bridal portrait. 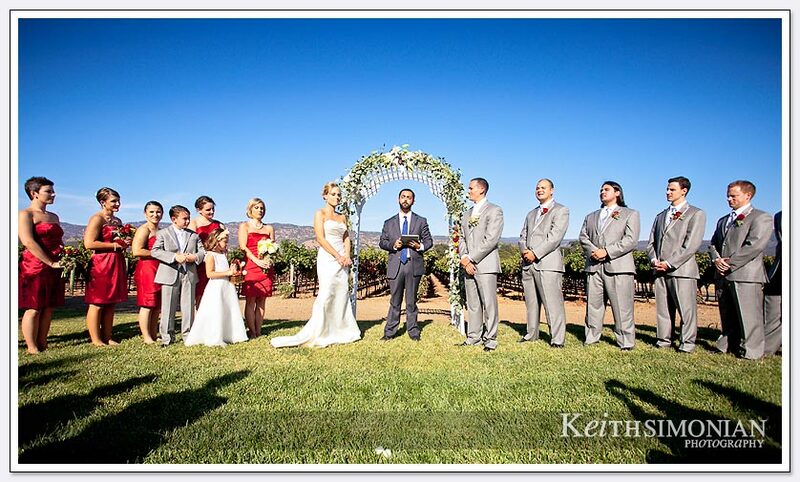 Napa Valley wedding ceremony just outside the vineyards. 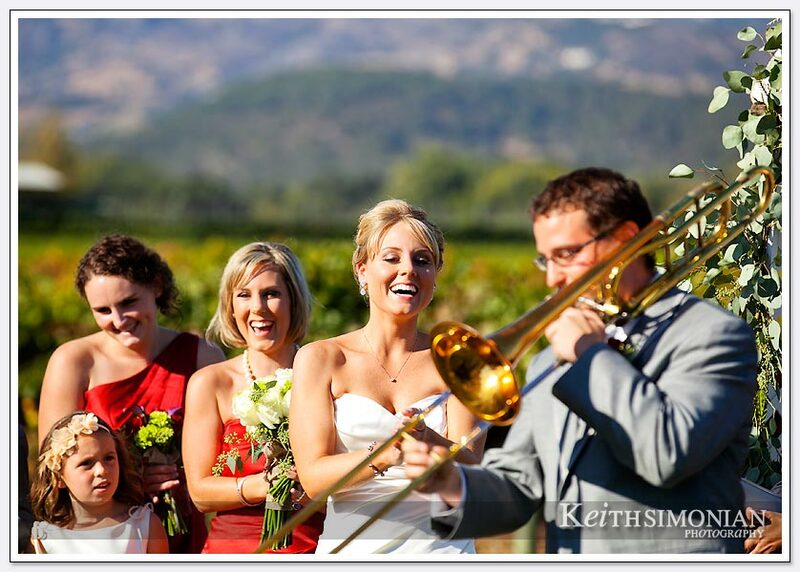 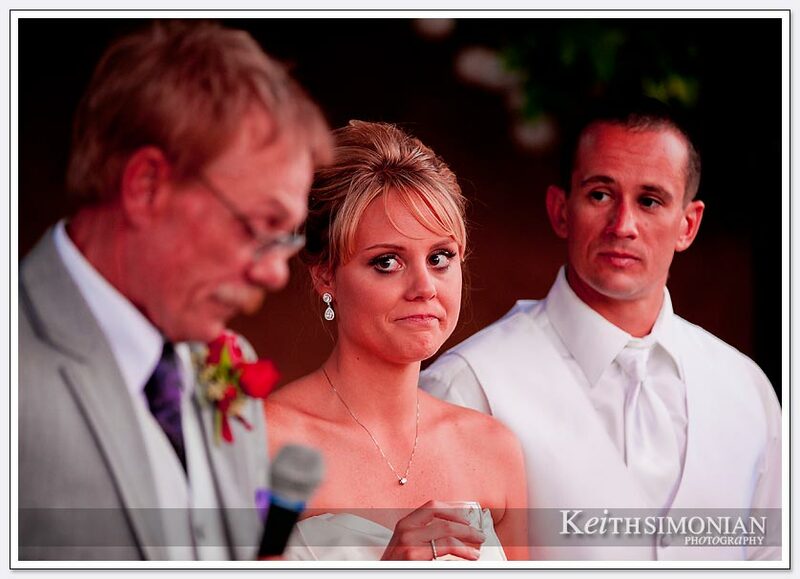 Trombone be played during Napa Valley wedding ceremony. 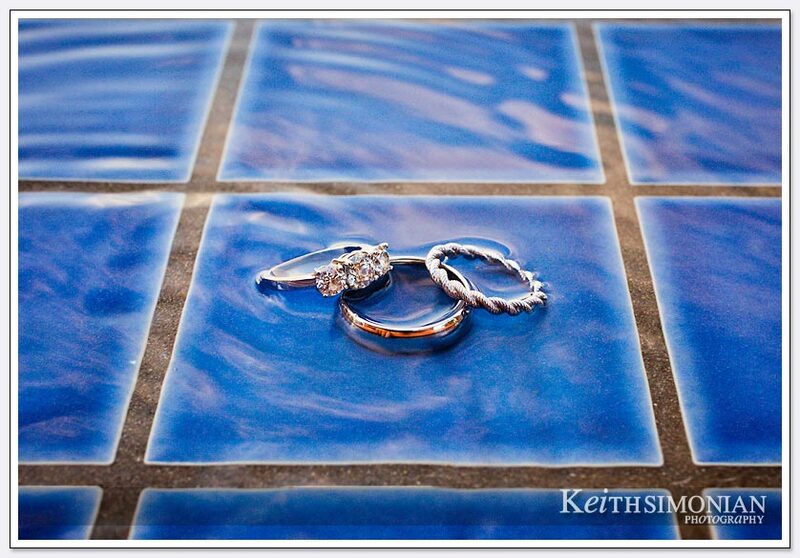 Wedding rings on the blue tile of the swimming pool. 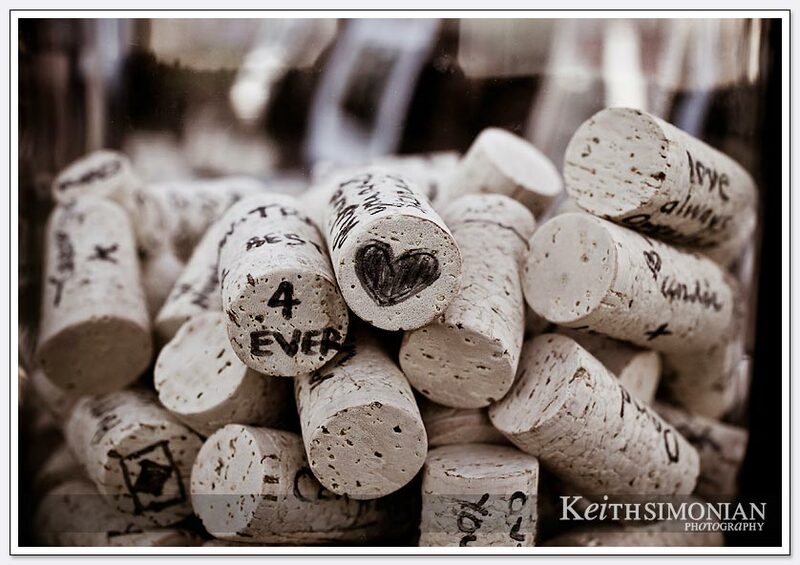 Wine bottle corks with messages written on them for bride and groom. 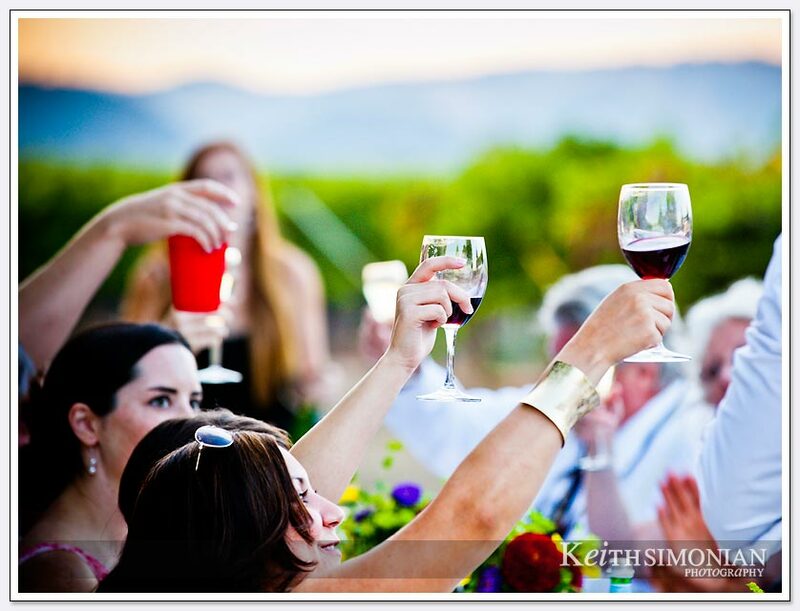 Guests raise their glasses in a toast to bride and groom. 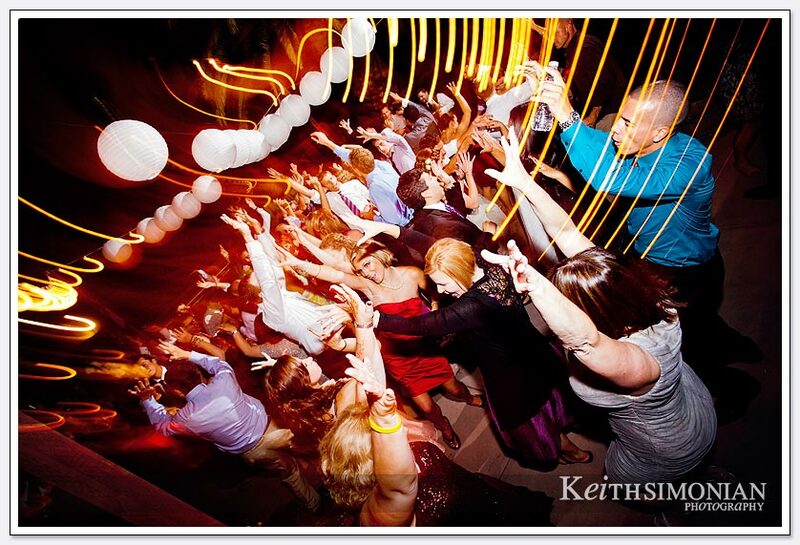 Dragging the shutter gives the effect of motion during wedding reception dancing.